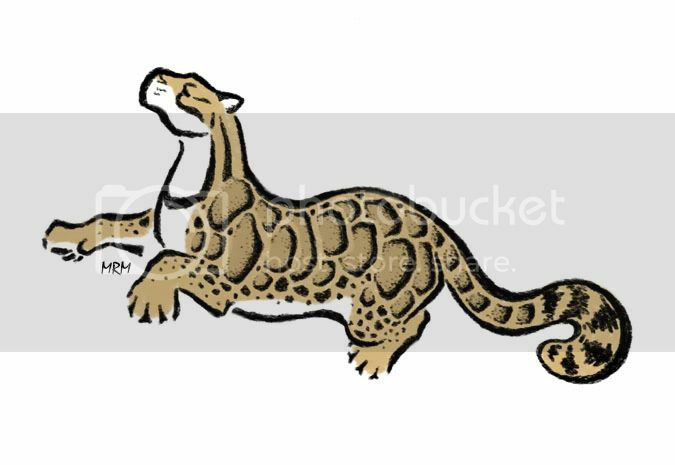 Was inspired to post this as I just got a therian-related tattoo, and I'm still pretty hyped up. It's a wolf paw print with a cats eye in the paw. Will get pictures up when possible. I have quite a few tattoos...but none of them are otherkin specific. What do you have, if you don't mind me asking? 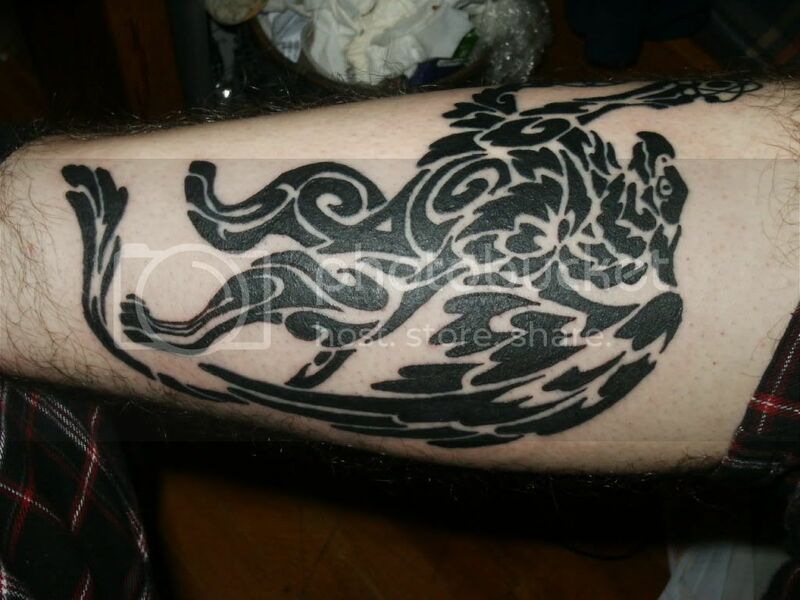 I have a dragon on my right arm/shoulder (I'll put up a picture when I get one). It's not really otherkin or therian related, I just love dragons with a passion. Last edited by pyewacket; August 5th, 2010 at 04:51 PM. Links to most of mine are on page 1. The two that I don't have pictures of online yet are the Poe lines "all that we see or seem is but a dream within a dream" on my left ankle and the graveyard snowglobe from The Crow with the quote "it's not death if you refuse it" underneath on my left ribs. My next one is either going to be another dragon or ninetales. I have a small tat of a lizard, but it's from an affinity to a short story written by Banana Yoshimoto, not therianthropy. LOL Crepuscular and I also have tattoo rings in the shape of birch leaves. No photos taken that I can find anywhere, though. 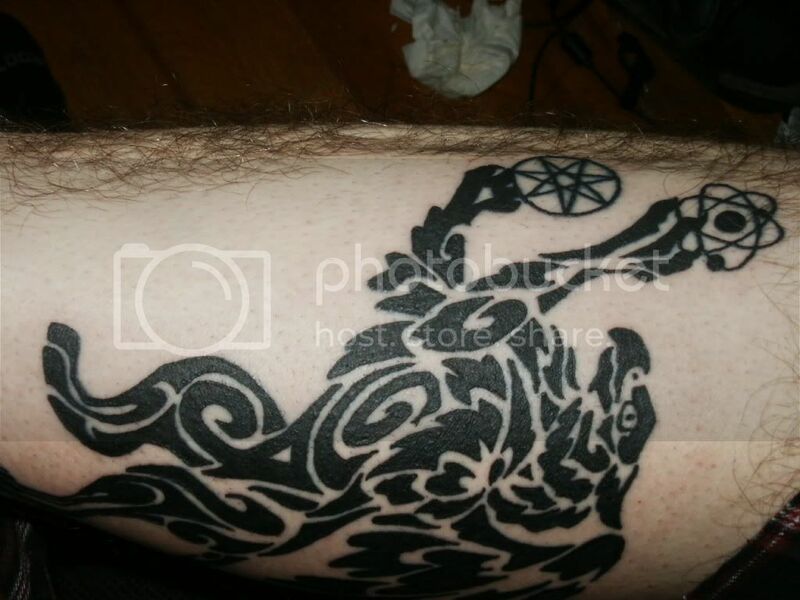 Very clearly an otherkin tattoo, haha. I love it so much! Alright, maybe the heptagram was a bit much, but it's still amazing. Last edited by Zigo; May 5th, 2010 at 09:42 PM.